When you first begin pursuing a modeling career you will likely hear the term "mother agent" or "mother agency". What exactly is a mother agency and what does a mother agency or agent do? Is a mother agency something you must have when starting out as a model? And, if so, how do you get one? Almost all professional models have more than one modeling agency representing them. For example, supermodels like Naomi Campbell, Coco Rocha or Tyra Banks will have one agency that represents them in New York, another agency in Paris, and another in Milan, Tokyo and so on. With so many agencies working on behalf of one model things can get a little confusing so there needs to be one main agency that will oversee everything. This main agency is considered to be the "mother agency". Normally, a mother agency is the first agency you begin working with when you start your modeling career. A mother agent can also be a scout that discovered you and helped you get your start. A mother agency will help you learn the industry and start building your modeling portfolio or "book". A good mother agency will provide advice and guidance on the best direction for your career. They may also promote you to photographers and clients in your local area so that you can book jobs and start building your book with "tests" and "tearsheets". A mother agency will be very protective of its models just the way a mother bear would be with its cubs. 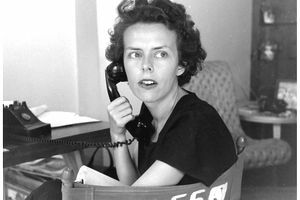 The founder of Ford Models, the late Eileen Ford, was one of the most respected mother agents in the industry. New models actually lived in Eileen's personal residence in New York City and had strict rules to live by. Eileen Ford's expert management and care for her models was legendary and made all the difference in the success of her models and her agency. If you live in a smaller market outside of New York, Paris, Milan or Tokyo, your mother agency will likely try to promote you to bigger markets. If your mother agency is successful in obtaining representation for you then it will receive a commission from the bigger agency based on the amount you earn. Typically, an agency will retain 20% of your gross earnings as its commission for finding you work. Then, from that 20%, they will pay your mother agent half or 10% of your gross earnings. Some agencies in the Asian markets can take a 30 - 40% commission, but these details will all be sorted out in written modeling contracts before you travel. Rather than focusing on just their own market a good mother agent will need to have excellent connections to outside agencies and a good understanding of how the various markets do business since requirements for models can vary greatly around the world. A mother agent will also have important insider information such as, which agencies pay their models in a timely manner, which agencies have the best bookers, which agencies are the most respected in their markets, and other important information that will help your career. Is having a mother agency a good idea? Yes, yes, yes! A mother agency is there to guide and protect you. They have experience and knowledge of the industry you simply won't have when you are first starting out. The tricky part, though, is finding a good one. This can be very difficult if you live in a small market. A good place to start would be a professional model scouting company like ModelScouts.com. All the agents at ModelScouts have been mother agents for over 30 years and fully understand all aspects of the modeling industry from modeling contracts, travel arrangements, overseas accommodations, work visa's in foreign countries and more.